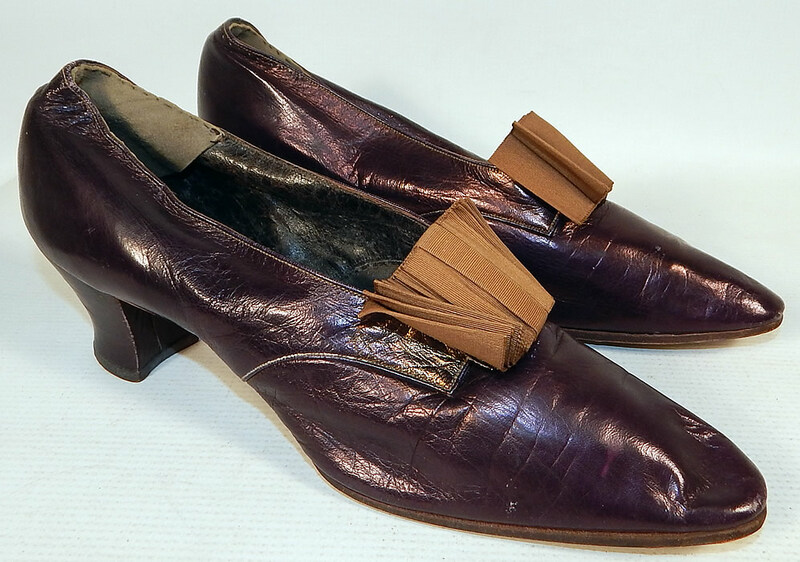 This pair of antique Edwardian era vintage Peter Robinson London label iridescent aubergine leather shoes date from 1910. 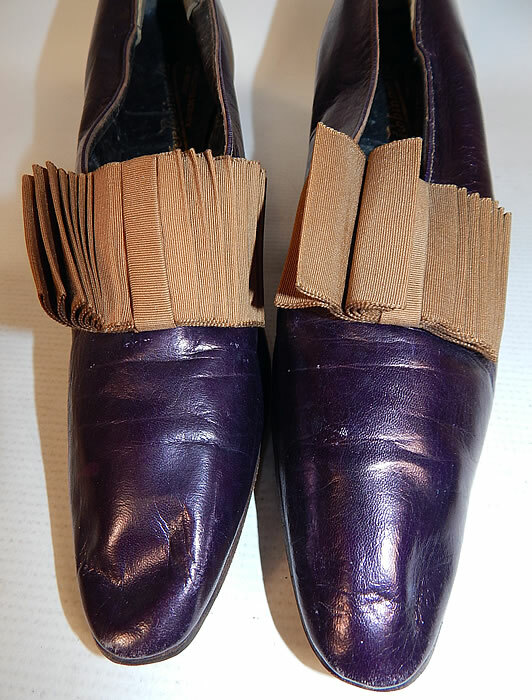 They are made of an iridescent dark purplish brown aubergine eggplant color leather, with brown silk grosgrain ribbon plated bow trim on the front toes vamps instep. These elegant evening shoes have a slip on slipper style, with exaggerated pointed toes and leather covered cube heels. 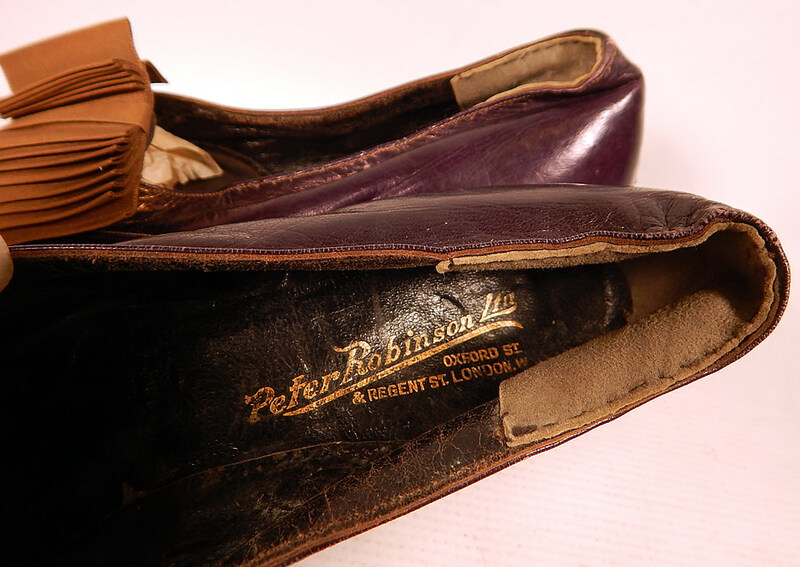 They are lined and have a gold embossed stamped "Peter Robinson Ltd. London" label inside. 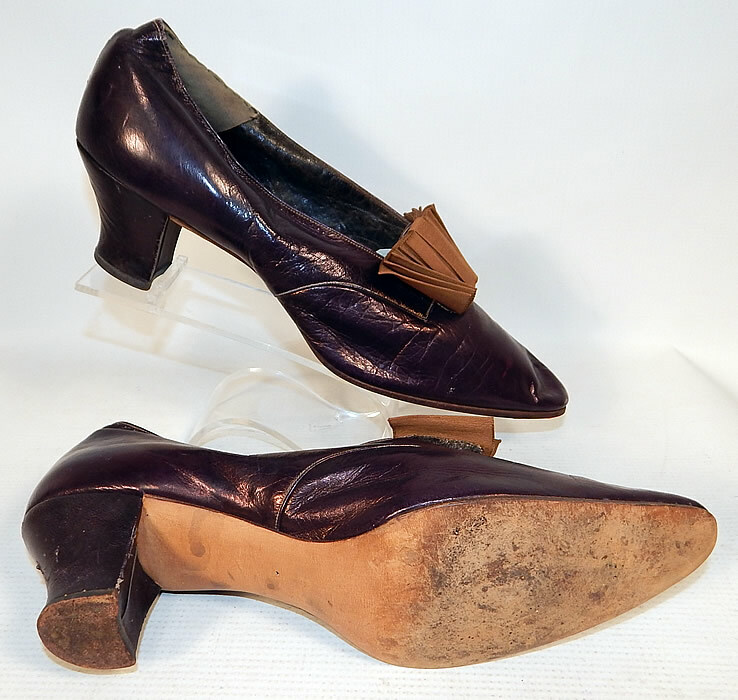 The shoes measure 11 inches long, 2 1/2 inches wide, with a 2 inch heel. They have been gently worn and are in good condition. 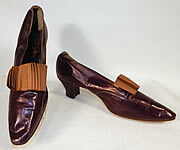 These are truly a beautiful quality made antique shoe!